Two years ago Sean “Seanbaby” Reiley and friends released Calculords, a digital collectible card game powered by math. It was the best thing. Now they’re back with Calculords 2: Rise of the Shadow Nerd, which is supposedly like Calculords, only better in every way. I’m in. 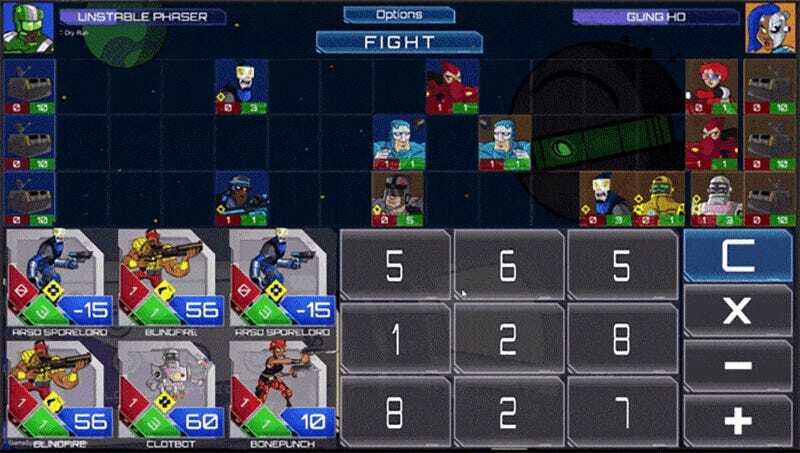 The original Calculords was a breath of fresh math in the free-to-play mobile gaming scene. It’s a lane-based strategy game in which units are deployed by combining randomly generated numbers with mathematical functions in order to reach their card cost. Use all of the numbers on the board at once, and you’re the best math person ever. Mather, I think they call them. Best mather ever. Calculords 2, currently the subject of a $40,000 Kickstarter campaign, takes the original concept and applies things like hand-drawn art, playable commanders, lush music and none of Seanbaby’s attempt at pixel graphics. Along with those improvements, players will be able to create their own custom cards using stock abilities and graphics, level up their cards and pit them against other players in player-versus-player math combat. If you’ve not played Calculords, it’s currently available for free on iOS and Android. Go grab it, love it, and if you want more you know where to go.